On Friday 14, Stratton Harry Lines died peacefully at his home in Williston. Born August 20, 1929, he was the third child of Harry and Jane Lines who had emigrated from Sparta, Greece at the turn of the century. He grew up in the Queen City, graduating from Burlington High School in 1947. He served in the U.S. Armed services in Germany as an MP from 1951-1953, and was married to Beverly Milo in 1962. They had 4 children, Jon, Gary, Maria and David. 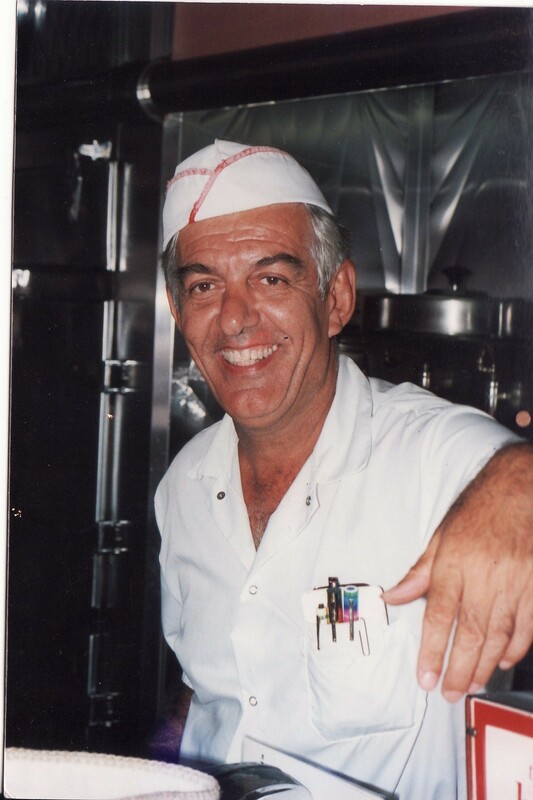 He worked for a brief time for General Electric but in 1954 took over the family business, the Oasis Diner, from his father, where over the next 42 years he established it as a hub of vibrant discussions about community, politics and sports. 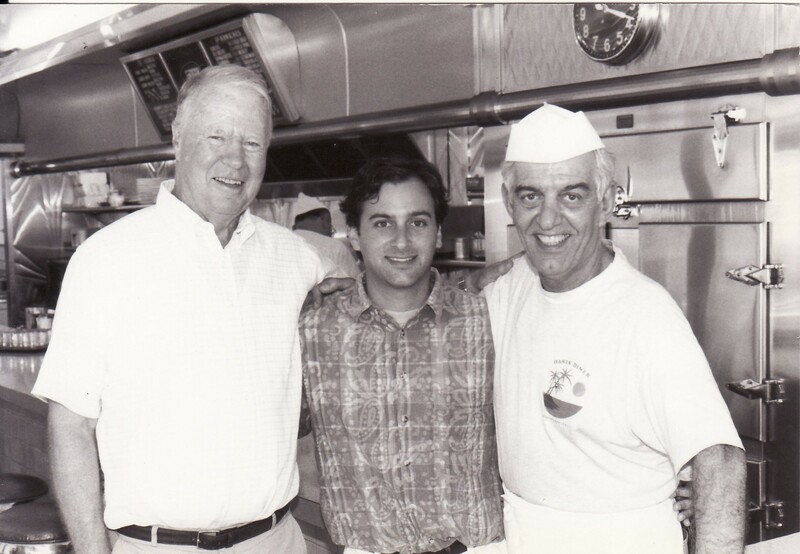 The diner opened in January after a long journey from New Jersey on a flatbed truck; it had to travel up Route 2 during the night as there were no interstate highways at the time. A young Burlington attorney named Phil Hoff helped negotiate the sale and final arrangements for the diner’s place of residence at 189 Bank Street. Stratty and Phil struck up a lifelong friendship; in 1962 Hoff became the first Democratic governor of Vermont since before the Civil War. Over the years, many a Democratic campaign was launched from the counter at the Oasis. During the 1970s, then-Chittenden County prosecutor Patrick Leahy spent many a late night at the diner after returning from crime-scene investigations. The day after first winning his U.S. Senate seat, he entered the Oasis and was greeted by Stratty, who proclaimed, “Any state’s attorney who becomes a U.S. senator can get a free lunch.” In 1980, Vice President Walter Mondale had breakfast at the diner on his way home from the Lake Placid Olympics, and in 1995 President Bill Clinton had lunch there while visiting Vermont. During Howard Dean’s 2004 Presidential bid, the Oasis often served as an unofficial media headquarters for both national and local outlets. He was known by most everyone simply as “Stratty.” He was a quintessential Vermonter and classic American. A lifelong member of the Elks Club, he loved driving in his red Cadillac after retirement. His true passion, though, was watching baseball, especially once his dear friend Tom Cheek became the radio announcer for the Toronto Blue Jays. Stratty became a devoted Blue Jays fan; many years he would travel to Florida and spend time at their spring training camp. He and Tom also went on cruises throughout the Caribbean. Stratty is predeceased by his parents, his wife Beverly, his brother Chris, and is survived by brother George and sister Calliope Kustas. He is also survived by his four children, their spouses Nancy Lines and Sarah Kenney, and five grandchildren, Nicholas, Alyssa, Meghan, Galen and Harper. The family welcomes all to a celebration of Stratty’s life during visiting hours at Corbin & Palmer Funeral Home at 9 Pleasant Street in Essex Junction from 4 p.m. to 7 p.m. on Thursday, February 20. A service will be held Friday at 10 a.m. in the same location, followed by a private interment for family. In lieu of flowers, donations may be made to the Department of Veterans Affairs, 162 Hegeman Ave., Colchester 05446; and Chittenden County Meals on Wheels, Colchester Road, Essex Junction, 05452.